SPPOT'S innovative approach means that we recruit and train Volunteer Dog Walkers & Day Carers who are all volunteers. SPPOT trains and works with people of all abilities. SPPOT'S Volunteer Dog Walking Service is fully insured, risk assessed and professionally managed by SPPOT, A Community Interest Company. 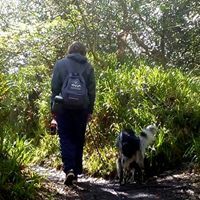 ​We walk dogs for anyone who requires the service at very competitive rates as we are a social enterprise and we also offer a significant concession to customers who find it difficult to walk their dogs due to mobility or long term illness or disability. ​Elderly and disabled people are eligible for a concessionary rate (proof of pension credits or disability benefit needed). We offer a discretionary rate for people and dogs in exceptional need, from £3 per hour. Please contact us for further information. 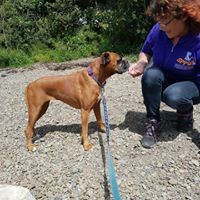 ﻿﻿﻿We currently have seventeen Volunteer Dog Walkers who have completed over 100 hours of accredited training and are walking dogs in Haverfordwest, Milford Haven, Pembroke and Pembroke Dock, Neyland, Fishguard, Saundersfoot and many surrounding villages. We are planning to expand into more of the county in 2017. We are able to walk dogs on a schedule to suit you, be that once a week, twice a day or any pattern that you need (subject to availability at the time of booking). 'As and when required' dog walks are sometimes possible - please get in touch for current availability. We offer a free of charge initial home visit to meet you and your dog and discuss your dog walking requirements. This will usually include taking your dog for a walk with you, where possible. 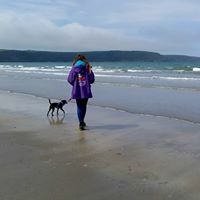 SPPOT's Volunteer Dog Walkers will usually walk your dog close to home to maximise the time they have to exercise which can include the beach, woodland walks or countryside. Our Volunteer Dog Walkers will then dry your dog off if needed, refresh their dog’s water and leave a written report. ​SPPOT provides dog walking services in Haverfordwest, Fishguard, Goodwick, Milford Haven, Pembroke, Pembroke Dock and Neyland and most surrounding villages.We plan to train more dog walkers for Tenby and Saunderfoot in 2018. Please contact us for more information if you need dog walking in other areas. 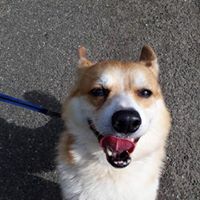 If you know of any dog owners who could benefit from our Dog Walking Service, you can now refer them to SPPOT and both of you will receive four free walks, when that person signs up for at least twelve weeks of dog walks. 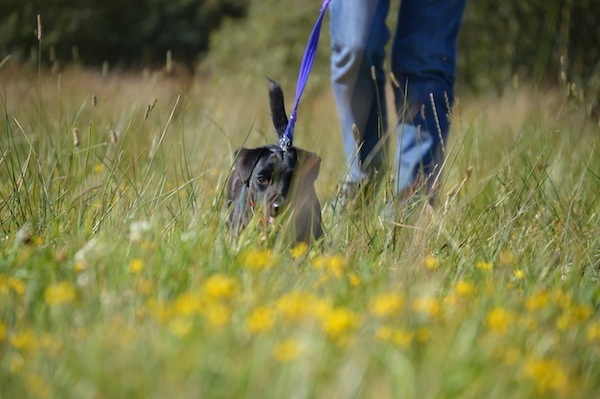 You could use yours against your current dog walking plan, or to 'try before you buy' if you are considering using SPPOT's Dog Walking Service, simply or save them for when you need them most. You can print a Referral Scheme Voucher here, or simply email us or phone with the details of both parties, with the other person's permission of course. Each of SPPOT'S Volunteer Dog Walker's have had over 100 hours of training, the majority as hands-on training with volunteer dogs. 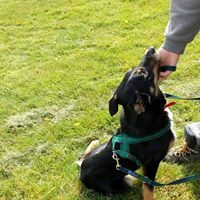 Each learner has passed the following Agored Cymru Accredited units: These are nationally recognised training courses and include Care & Welfare of Pet Dogs and Puppies, Dog Training Skills Course & Dog Walking Enterprise Skills. All training is provided by SPPOT's Qualified Dog Trainer, Canine Behaviour Advisor & Tutor Kerri Bee, FdSc CBT, Member of the Association of Pet Dog Trainers. The whole SPPOT Team is committed to a very strict Code of Conduct regarding the positive handling and care of all dogs in our care.